FaceySpacey.com needed a new web page design and created a contest on 99designs. A winner was selected from 162 designs submitted by 40 freelance designers. 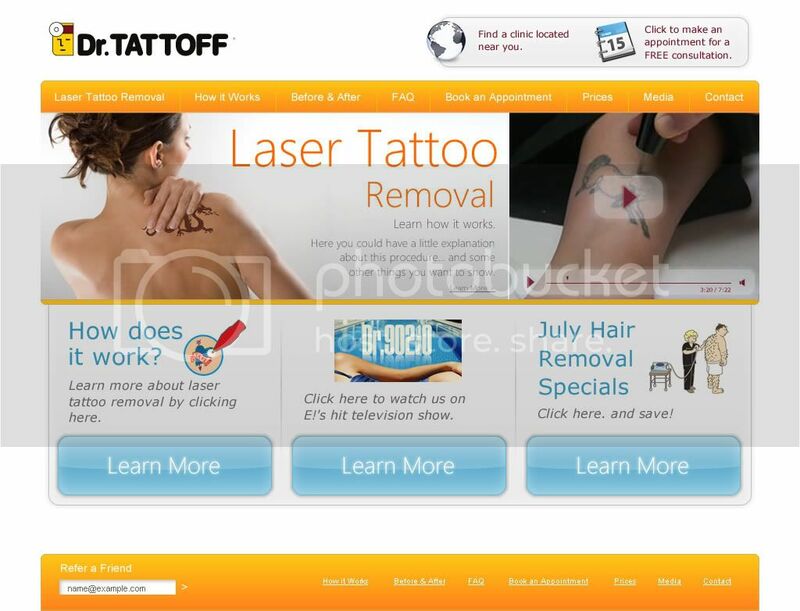 We need the homepage for DrTATTOFF.com, the first branded Laser Tattoo Removal Company. I'm the developer--my company is http://FaceySpacey.com. We already have a bunch of designs to help inspire you. Simply look at all the images and if you're inspired, cook something up. I'm very active and always available throughout the process. So I will be working very closely with all the designers to get what we want in comments, ratings and private messages. I would also like to note that this stuff was done by my designer, Emiliano Gonzalez. His designs were submitted as the first designs in the contest, but HE WILL NOT BE SELECTED AS THE WINNER. This is a guaranteed contest and I promise you the winner will be anyone but him. I've done several contest on 99designs and just love it. 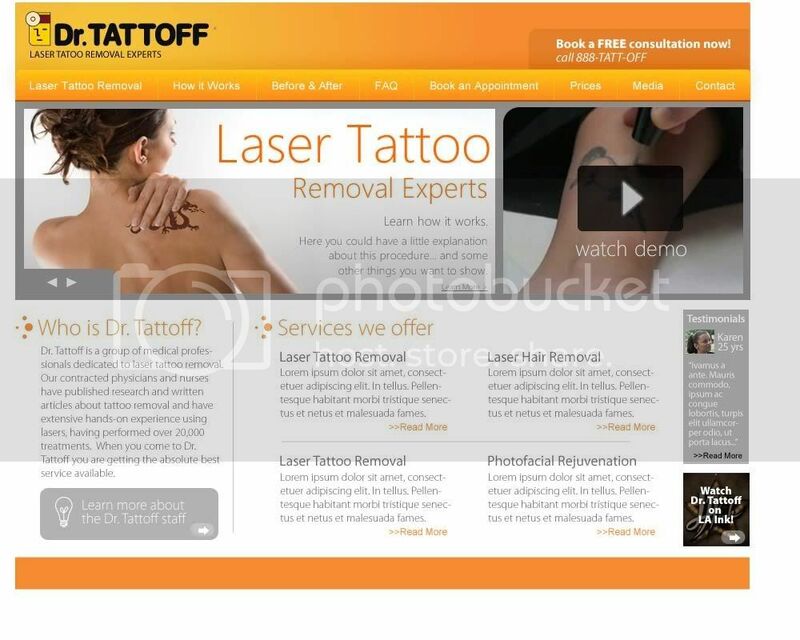 I run a development company and design sites all the time. 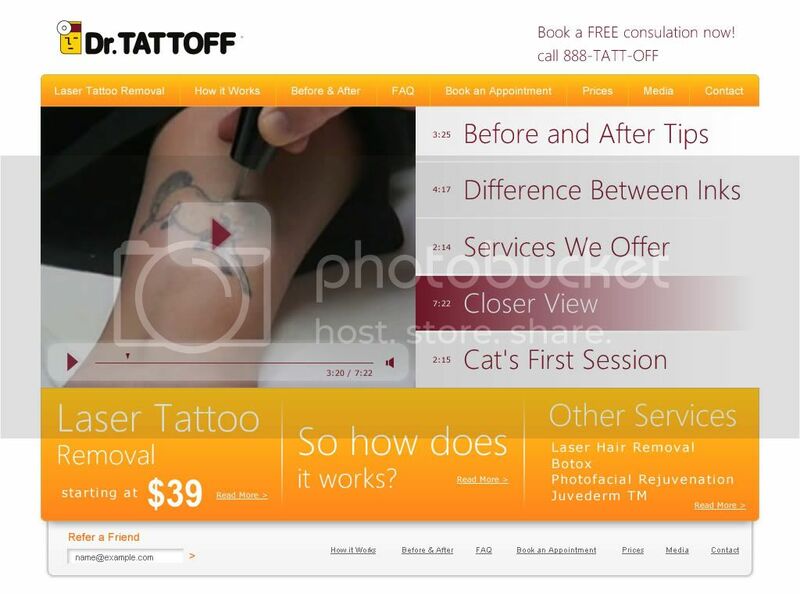 I have complete faith in all of you to come up with the most impeccable design for DrTATTTOF.COM's homepage. The designs I've provided are just to serve as inspiration so you can quickly get to creating what you think it should. I do however like what I have, and think the winner will probably be someone who takes these designs to the next level, while making it a more complete and cohesive design. That being said, I'm also open to anything. So Take anything you see so far in the contest and make whatever you want really. The only goal is that this capture the design scheme/theme for the whole site. - Before & After imagery or special video player type thing. 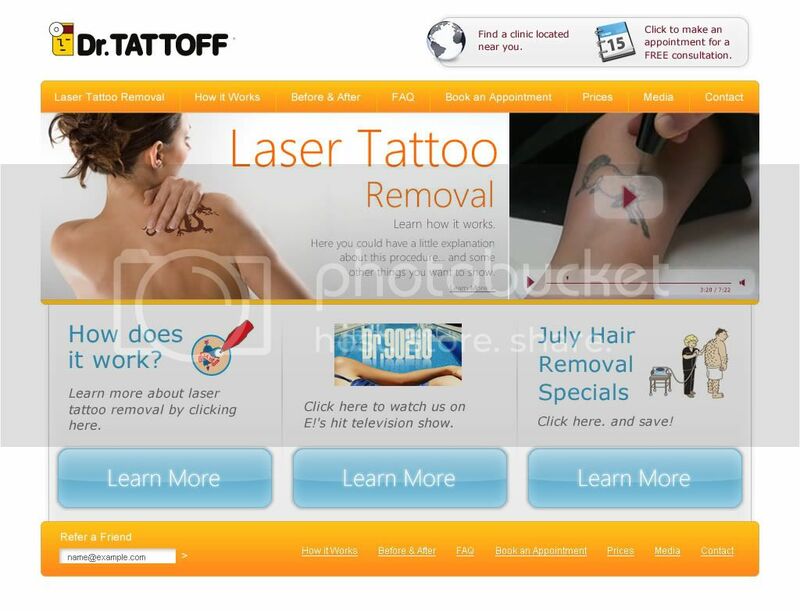 We need to show before and after Laser Tattoo Removal stuff on this homepage. - boxes with any elements you want. They will be dynamically controlled from our admin panel. 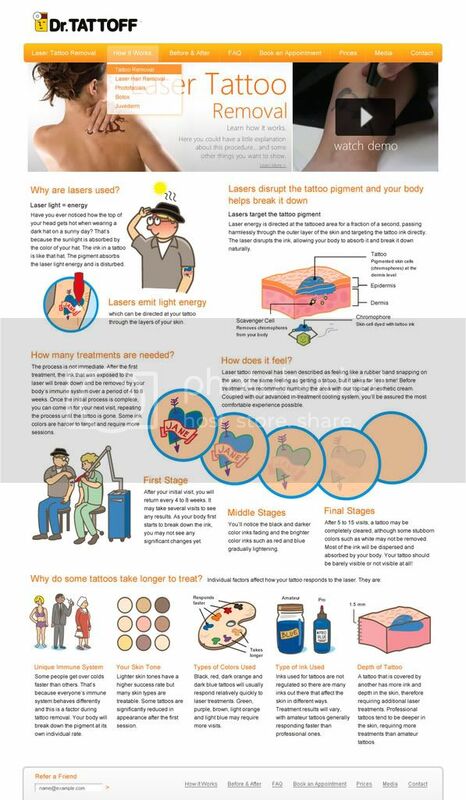 Use any of the graphics you see in the images provided. - any file format, but .png fireworks files are my favorite. However, if you use photoshop, illustrator or another program, don't worry. Use what you're best at! - simple table-based (i.e. 2 or 3 column) design.